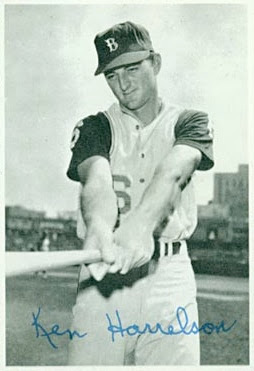 Local fans finally got to delight in their own players, as expansion Montreal took the field on April 8 (in New York) and broke champagne for their home stadium (Jarry Park) on April 14, hosting St. Louis. 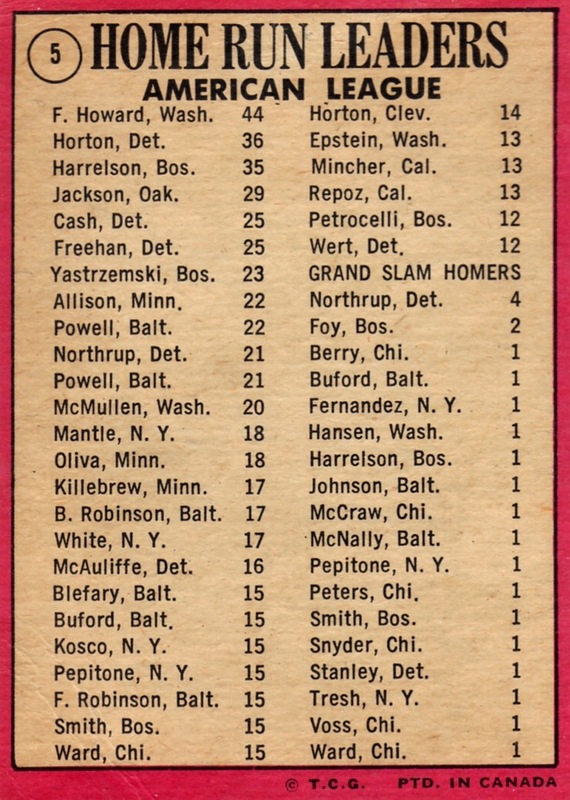 Les Expos won both openers, but ultimately finished last in the NL East, 48 games back. 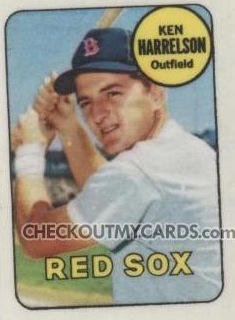 Interesting to see Topps and OPC "honor" Harrelson with this generic hat on a league leader card. 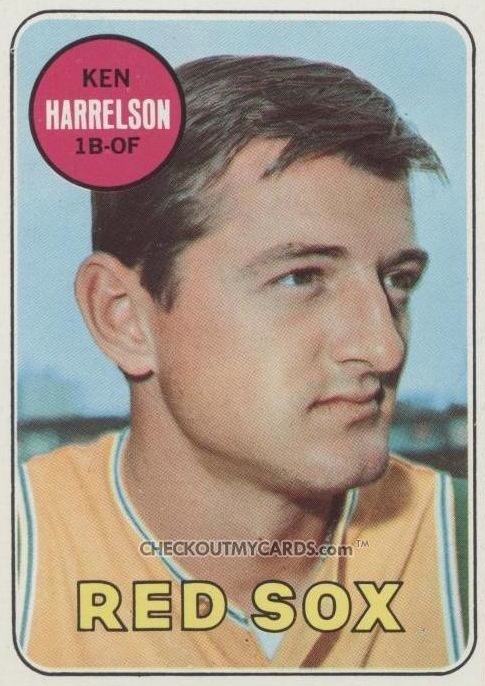 Compare his look to Frank Howard--it's the same midnight blue with red piping, which Ken also wore for a year in Washington, and almost certainly an alternate take from 1967's photo shoot, just with blotted-out "W."
But why stop the Harrelson goofiness there? 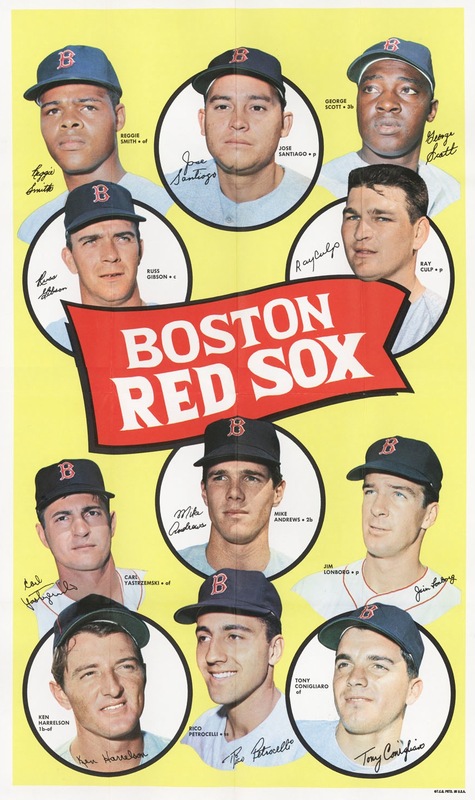 Check out his redecorated image for the Topps / OPC Deckle Edge sets, which slapped Boston's logo over a Kansas City A's hat. 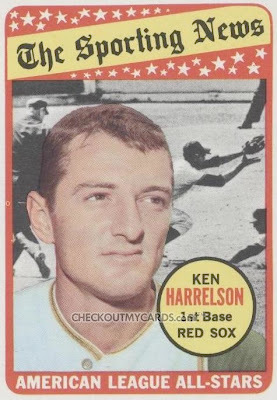 This is just the beginning, since Ken appears on 4 different 1969 Topps cards and in several test issues, none as a "real" Boston player. 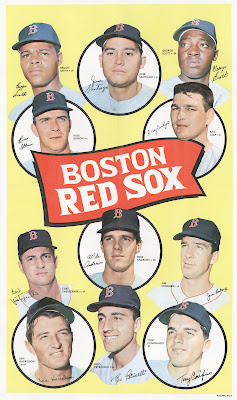 Last but not least, Topps' 1969 team poster and decal sticker test issues show more alternate takes of Ken as a Senator, one with pushed-up hat and the other with that slapped-on Boston "B" logo. 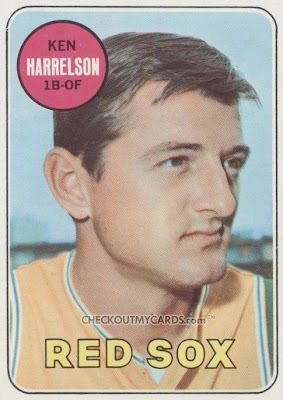 Not sure if Ken Harrelson holds the record for most off-uniform shots in one year, but it's a full catalog of what Topps did when they didn't have current pictures to work with. 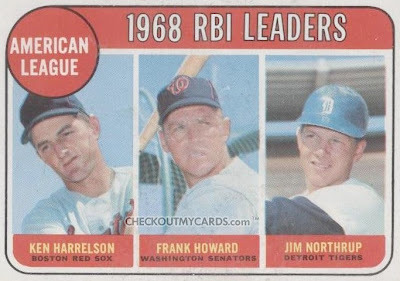 Two things make OPC backs stand out from American versions, at least when sifting cards by hand: orange ink on its borders (Topps used a lighter pink) and the PTD. IN CANADA tag line. 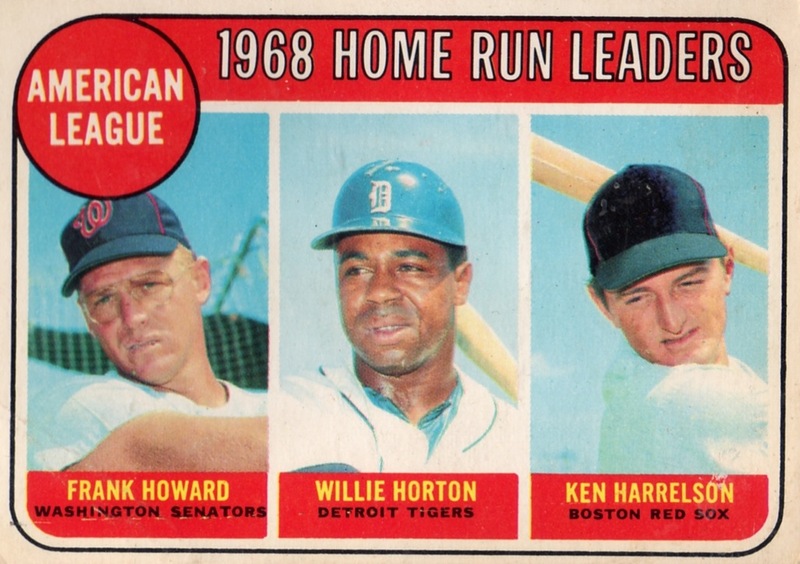 Quebec law started requiring bilingual text in 1970, but 1969 cards look otherwise identical to their American siblings. 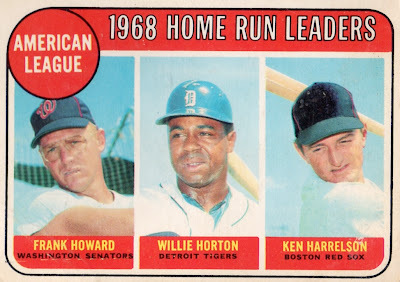 Value: No HOFers on this leader card, so low-grade versions cost a few dollars. 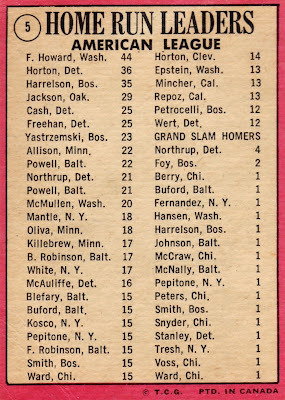 OPC printed far fewer cards than Topps, but the rarity only seems to affect star pricing.